Sometime back I have written a tutorial on how to read config file in tradition way. 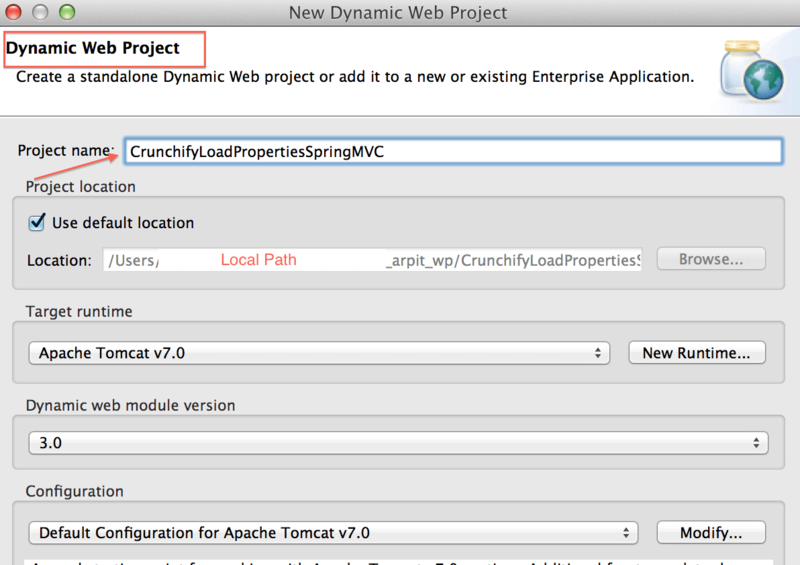 But what if you want to load it as a Spring MVC framework? 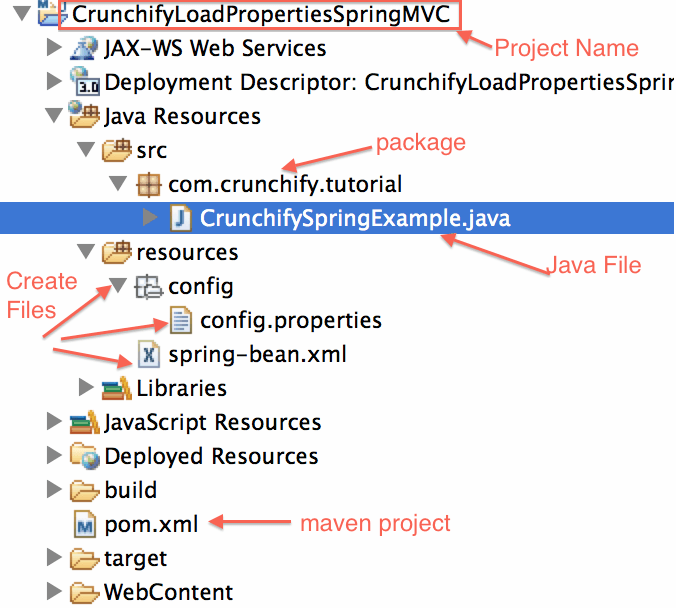 It is most common that you may need to access some of your config.properties values all the time in your Java class. 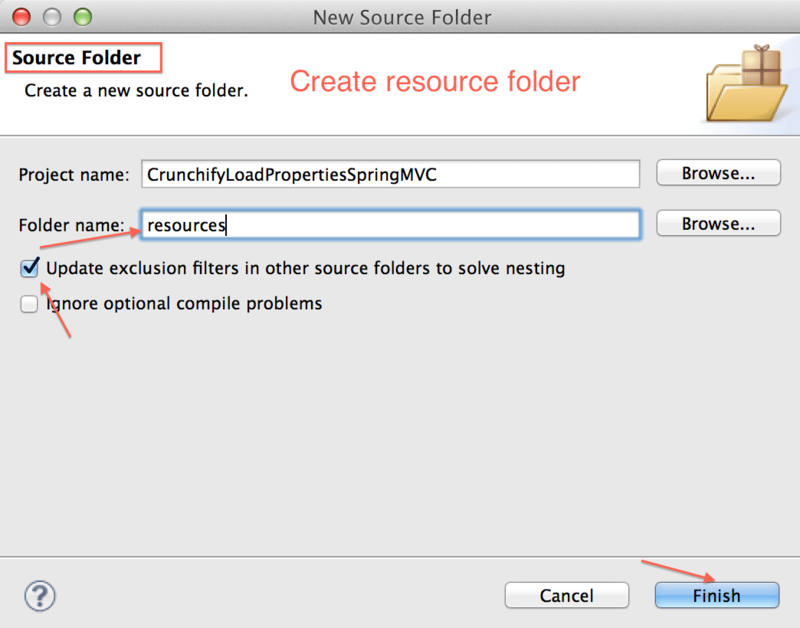 There is a simple way to get it using Spring MVC’s singleton scope. Kindly take a look at below complete workspace picture. Convert project to Maven Project. 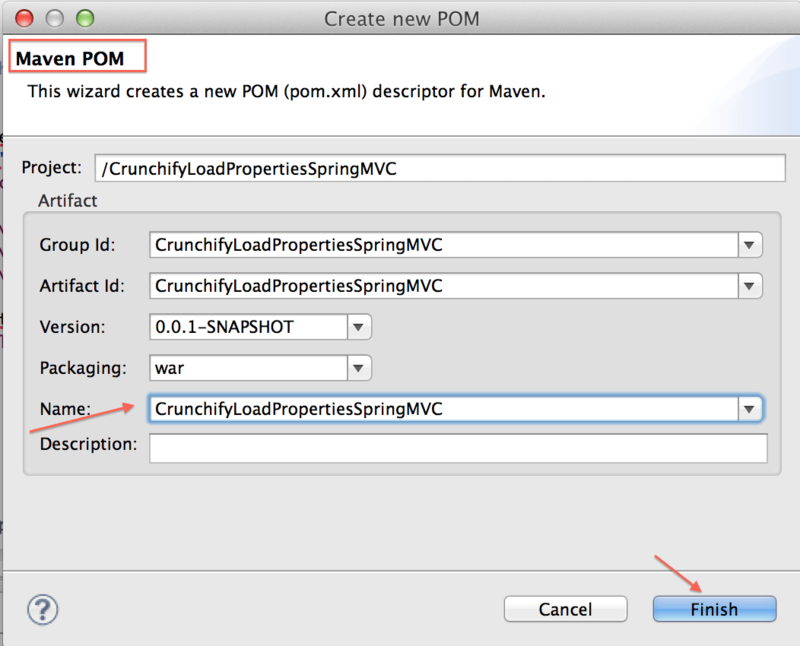 This will create pom.xml file and we will add Spring dependancies. Here is my pom.xml file. If you don’t see “resources” folder. create one. Create config.properties file with below contents. Now run CrunchifySpringExample.java and you should see result like this.